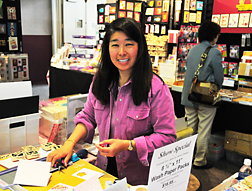 “Lori Picks” consist of selected items featured by our Southern California demo artist Lori Lai. Lori uses many of these items in her classes and demos. Check out her website for more information. Lori offers classes and demos in the Los Angeles area. Go to www.LoriLaiDesigns.com for a list of class/demo dates.